When you’re pregnant you get lots of unsolicited advice from friends and family. 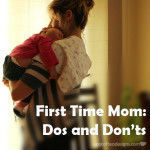 Consider this post your unsolicited diaper advice showcasing my experience/thoughts about disposable diapers! Start a stockpile while pregnant. 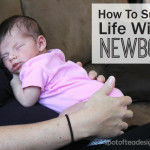 This is one component of nesting that will make you feel better to see that you’re prepared. While there is a chance that your baby is allergic to a specific brand or type, I don’t think this is as common as the nay sayers suggest. If that is a concern, buy closer to baby’s arrival and keep the receipts so they would be within the returnable timeline. Since you’re not shopping under the stress of a crying baby in the “I can’t believe we’re all out of diapers” mode, you’re more likely to wait for the better deals and save your family money. 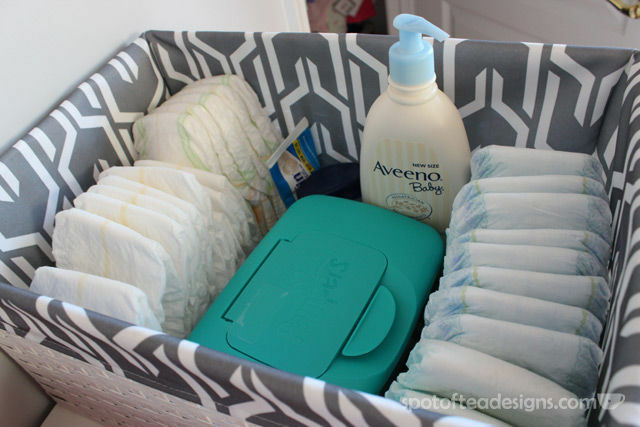 Sign up for the diaper rewards programs while pregnant and start racking up points! I’m in both the Pampers Rewards and Huggies Rewards programs. Pampers includes a bonus opportunity where you enter at least one wipe or diaper code each month and you get a bonus gift every three months. In the past they’ve included things like Shutterfly stationery cards, a calendar, address labels or toys. In addition, during the year I get bonus freebies around holidays and special occasions, like wall calendars, holiday cards, books or ornaments, for things like Mother’s Day, Father’s Day and Christmas. The Huggies program isn’t as robust but I think is still worth it to rack up points to trade in for freebies plus they also send you bonus gifts during the year! At CVS, you can stack both a CVS store coupon (that you can print online off their website or which print in the red coupon center in the store) along with a manufacturer’s coupon on one item. Join their free Extra Care Rewards program and scour the ads/coupon blogs to find out about the deals where you earn Extra Care Bucks, or ECB. These are dollars towards a future purchase at the store and really make you spend less out of pocket. CVS often has offers where you must spend a certain amount of money on a category/product and you receive ECBs. But here’s the kicker: the money you must spend to get the deal is the total BEFORE coupons! So print and collect those free printable coupons on sites like CVS.com and Coupons.com and work the numbers! 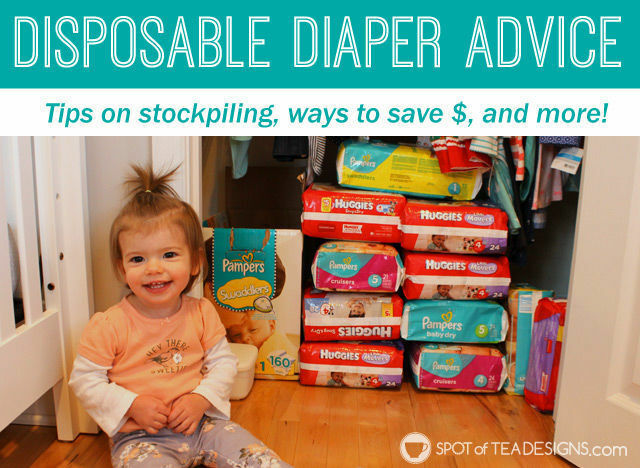 Example of a great buy: I could buy 4 packs of Huggies or Pampers diapers, hand over a few coupons and spend as little as $3-4 per package which includes $5-10 ECBs to spend on a future purchase! Newborn/Smaller sizes: Pampers – Swaddlers. As a FTM, the blue stripe that would appear when the diaper was wet was oh so helpful for those first few weeks! But otherwise, they were snug fitting and super soft. We also used Huggies Little Snugglers but I always could SMELL when the diaper was wet and I hated that smell. We didn’t have any problems with how they held in waste (besides the normal diaper blow outs that have nothing to do with the brand and just a normal breastfed baby) but I just wasn’t a fan of the smell. Larger Sizes (size 3/4): Pampers: Cruisers for Day and Pampers Baby Dry for Night. OR Huggies: Little Movers for Day and Snug and Dry for night. We had an early walker on our hands which meant lots of movement. While the Swaddlers are great for newborns, the shape and construction of these other styles really do cater to kids on the move. We also used the Huggies Little Movers Slip On style, which were fine but you got a few less diapers in the package, just as a heads up. Hope you’ll now be on your way to better savings for a diapered kid! 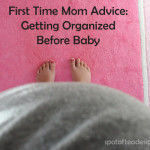 When did you start stocking up on diapers? I’m at 12 weeks and people are telling me to wait in case my baby doesn’t like a certain brand. If I just get several different brands do you think I’ll be okay? First, Congrats on the upcoming arrival!!! But yes allergic reactions to certain brands can happen. Luckily I never experienced it with my girls so I started to stock up maybe when i was around 6 months. I would say, stock up later in your pregnancy and keep all receipts in a specific place in case you do need to return them. Also maybe start with only the smaller sizes and wait to get the ones for when they’re older.